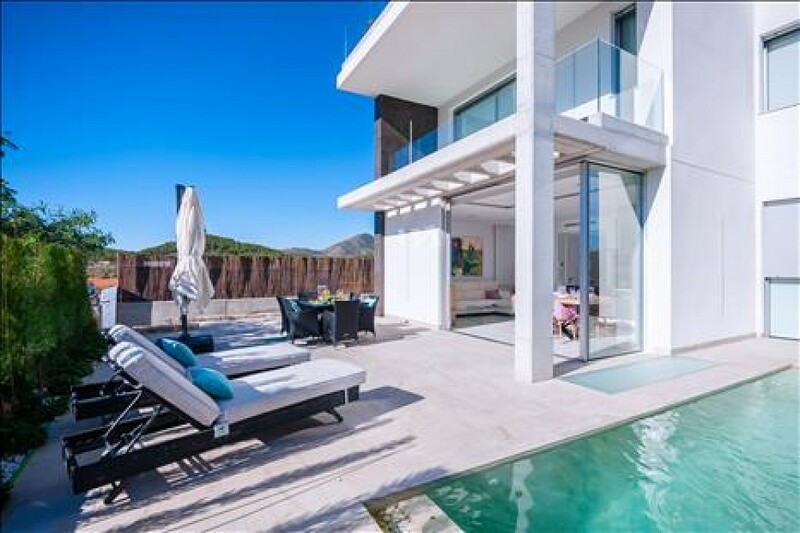 Las Dalias is a small development discreetly located in the heart of La Manga Club and yet noticeable by the finish and quality of the build. This inspirational design focusses on luxury, comfort, and convenience with latest state of the art fittings and features. The private swimming pool and terraces face directly south giving all day, all through the year sunshine. This wonderful orientation is enhanced on the roof top solarium and there are low maintenance gardens to the side and the rear of the property. There are four double bedrooms, each with a bathroom facility and a utility room. There is the bonus of a TV/Cinema room with bar facilities on a lower level in addition to the open plan kitchen , living and dining areas.